Despite the weather looking at bit unreliable we arrived at the venue just in time to be greeted by a shower of hailstones, but we gardeners are made of sterner stuff than the threat of a few April showers. Apart from a sprinkling of rain when we sat down to tea the sun shone and the garden fought to outshine it. I knew we were in the right place when our host made us quite welcome and advised us the she did not have lawns just grass so we were free to explore. 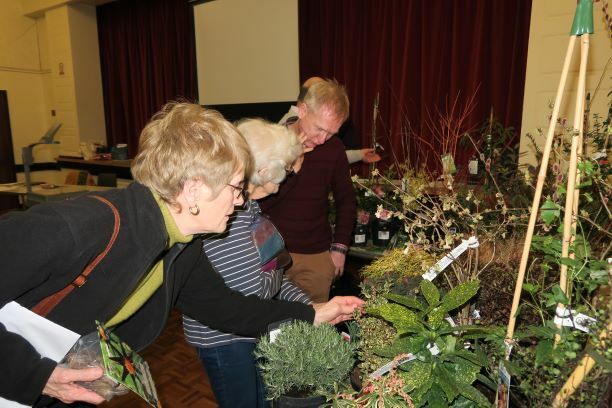 It seemed that many had taken the opportunity to raid the plant stall, as we could see members scurrying back to their cars with various pots and plants. 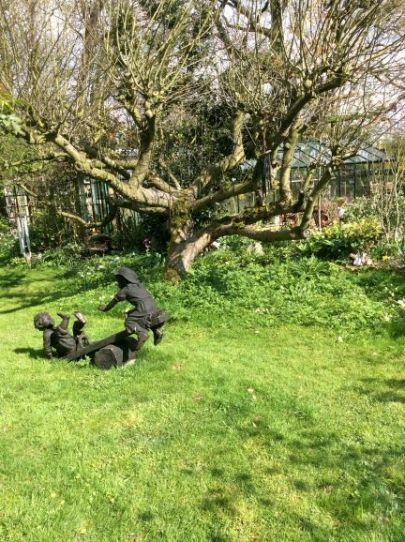 Being a lover of spring gardens, as I always think they are much prettier and more delicate than Summer’s offerings or the bold jewel colours of Autumn, I was as they say “ a pig in a midden” along with some friends I discovered in the back garden. The garden did not disappoint although there was some competition as to who could find the many hidden animals scattered around the flower beds and lawns. The garden was a maze of plants in flower and plants about to start their growth, now were those Hostas further on than mine? It was nice to find another Hosta collecter and to know the passion was not just confined to me. I would be hard pressed to list the plants as I tend to just enjoy the looking rather than trying to remember what I had seen, but certainly the daffodils made a distinct impression as my own are dead and gone, that is apart from the pot I bought from the visit. The other plant which became obvious to my beady eye were the Cowslips which I have tried to grow unsuccessfully on several occasions, mind you it took years to get Snowdrops to flower. Hellebores, another passion, were many and varied and the double varieties seemed to do well, I wondered how they got to be such big plants as mine tend to be just one or two stems to a plant, seems I must try harder. Mine Host Jane, furnished us with a grand list of 24 trees growing in the garden which I will not bother to write up again, but they provided shelter and home to the many birds we could hear singing their little hearts out. I duly inspected the Camellias which are another passion, but I only have room for two in my tiny plot. Jane informed us she has had to make a special bed for them to get the acidic soil they need, I meanwhile only feed mine in the spring and apart from planting in the correct soil years ago I get masses of flowers and have to prune them back to keep control. 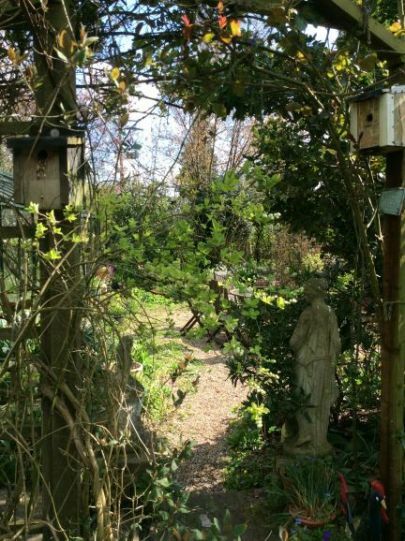 The garden was a sheer pleasure for any plant gatherer and there seemed to be something to look at wherever you went, up and down paths, and with no distinct lay-out every corner or bend presented something to see and plenty of seats to just sit on and enjoy the warm sunshine. Tea and cakes rounded of a pleasant day out and the excellent signposting got us there and back. 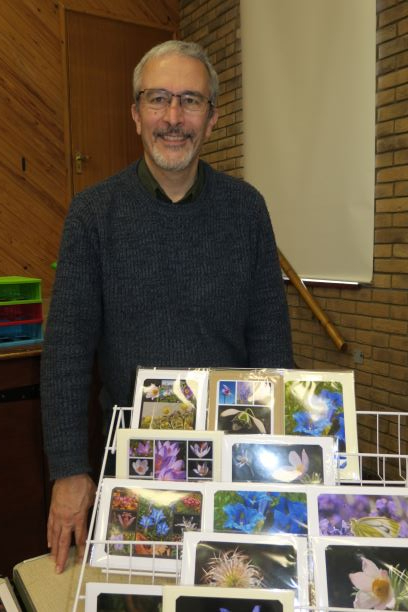 Indoor Meeting: Talk by Tony Goode "THE FOUR SEASONS"
Our last talk of the winter season was given by Tony Goode, national collection holder for crocus spp. 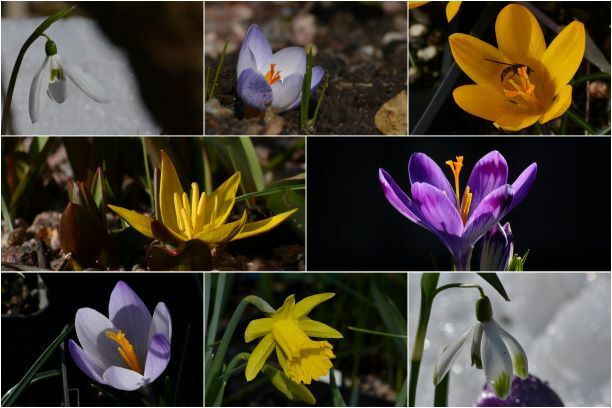 Tony explained that he did not have a professional background in horticulture but an early interest in growing alpines from bulb and seed led to increasing involvement with exhibiting at alpine shows and ultimately to curation of the crocus collection. 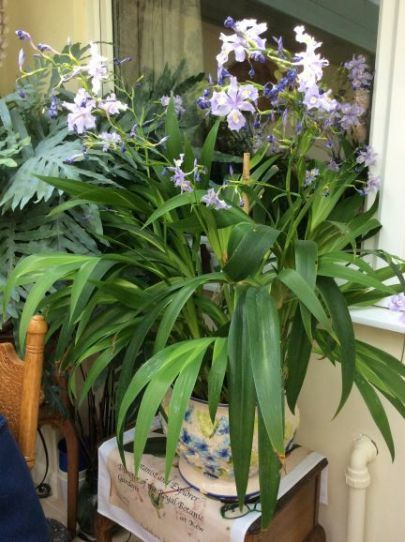 His Norwich garden is relatively small with sandy soil so he grows many specimens and the crocus collection in pots, though choice bulbs and alpine plants also feature in the main garden throughout the year. As a keen photographer, he illustrated his talk with beautiful images of plants, planting associations and gardens, sometimes to the musical accompaniment of Vivaldi’s Four Seasons. As a local gardener he helpfully commented on those bulbs that will fare less well or better in Norfolk. For example, Narcissus cyclamineus does not enjoy Norfolk dry summers whereas N. bulbocodium is more tolerant of dry conditions. For the same reason he recommended Corydalis Craigton Blue, which goes dormant in very hot weather. Lilium pyrenaicium will struggle in Norfolk gardens, unlike L. martagon which will do well. He confessed to rarely having the time to leave his home county and visit other gardens but featured 3 that he has found particularly inspirational: Compton Ash with its sand bed and extensive use of tufa, the garden at Ashwood nurseries and Branklyn. But the most surprising ‘big garden’ photograph of all was of a spectacular meadow of crocus Tommasinianus taken at our very own Earlham Cemetery. 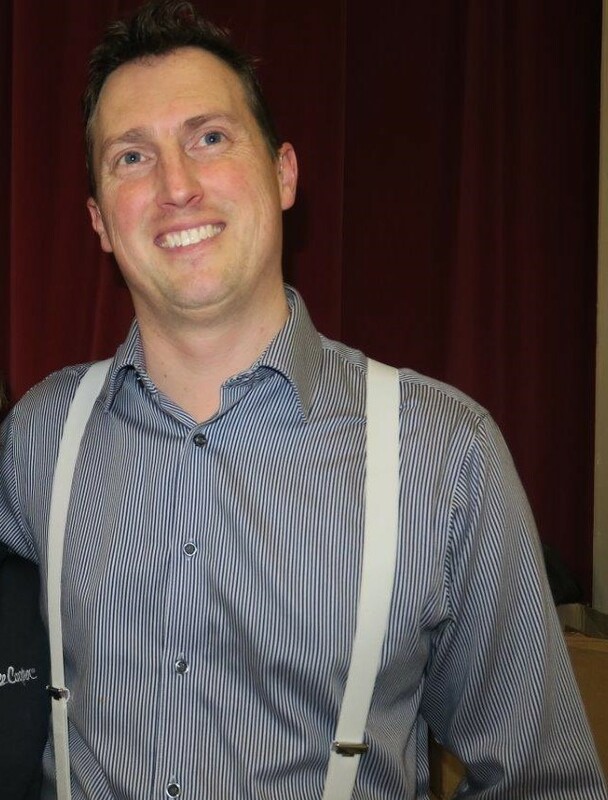 Indoor Meeting: Talk by Matthew Tanton Brown "COMPANION PLANTING"
Matthew is a consultant and the part time manager at ‘A Place for Plants’ in East Bergholt. Having learned his horticultural skills at RHS Wisley and at Merrist Wood and Hadlow Colleges his knowledge of this subject was extensive. The talk embraced companion planting in its widest sense, from rotational planting of vegetables, through to beneficial plant associations and on to the clever grouping of plants for texture, colour and stature in the garden. Matthew described the use of three and four year rotations to minimize the spread of pests and diseases. The use of low hedges could also be of benefit, not only in deterring pests, such as carrot root fly, but in making vegetable plots more interesting. Using one plant species to either attract, or deter pests and diseases is a well known technique of the ancient herbalists and Matthew gave several examples of good companions. Dill with Cabbages deters aphids, basil under tomatoes for whitefly and aphids and African marigolds turned in before potatoes against eel worm. Borage deterred moles and Artemisia, mice. The silicon in Artemisia and horse tails deterred slugs and snails. However, steeped Rhubarb leaves sprayed against rose black spot needed to be treated with extreme caution, although steeped comfrey and nettle made excellent fertilisers. Finally he discussed the placement of plants to provide contrasts in texture and colour, but warned against planting several different variegated leaved plants in the same area. 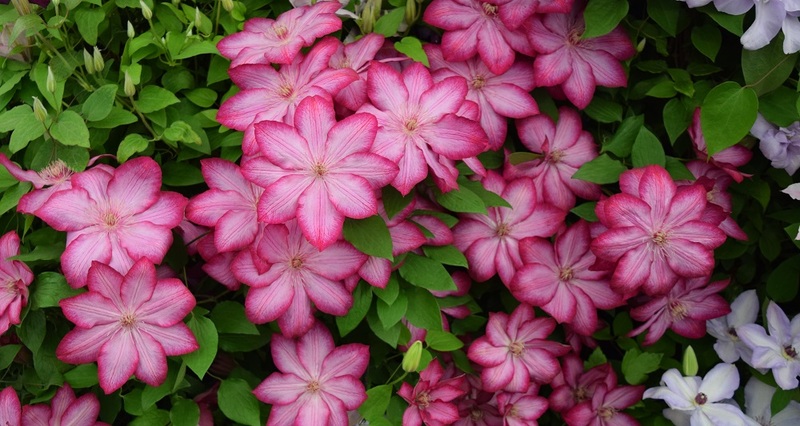 Climbers planted in trees, or over buildings and ground cover plants to reduce water loss and weeds were all examples of companion planting. NEW INITIATIVE in 2019 “Gardening for Everyone”. NNHS reach out to a wider audience with a new, more inclusive mission. 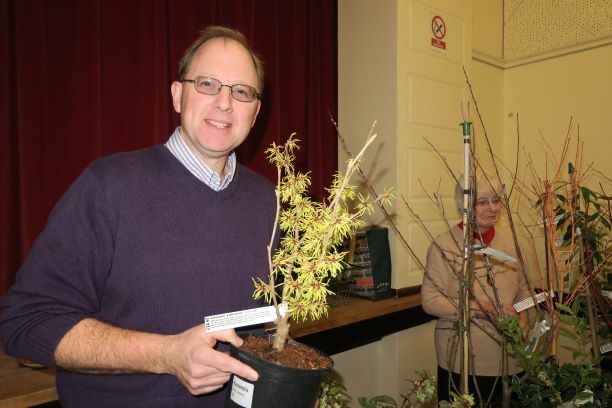 TALK & MISSION INTRODUCTION, 27th April 2019, 6.30pm, John Innes Conference Centre, Norwich:A Special Event held by the Norfolk and Norwich Horticultural Society (NNHS) with a presentation by the new President of the Society, Adrian Bloom followed by a Forum to discuss the present and future of gardening and horticulture. 1829 - the year NNHS was formed, one of the earliest horticultural societies in Britain. Since then the society has organised yearly shows and garden visits and helped with the education of the general public in gardening. 2019 - NNHS still very active, a registered charity with HRH The Prince of Wales as patron, 46 affiliated societies in Norfolk and 260 members. Concern about gradual decline of membership in societies all over the UK and few younger people becoming involved. 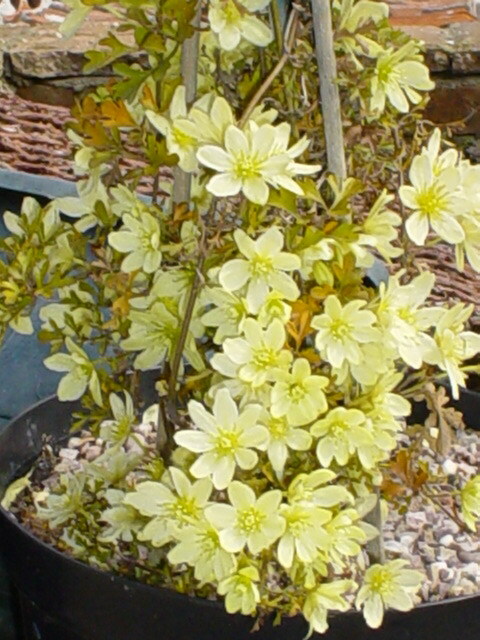 1946 - Adrian Bloom’s father Alan established what became a famous nursery and gardens at Bressingham. 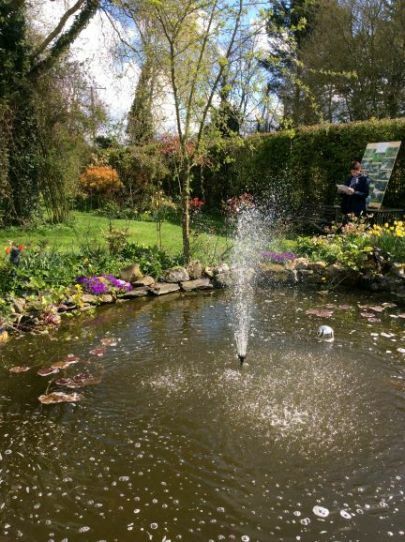 Alan created the six acre Dell Garden devoted to hardy perennials, first opening to the public in 1962, the year Adrian and his brother Robert joined the family business. 1967 - Adrian began planting his own garden, which he and his wife Rosemary called Foggy Bottom. 2017 - Celebration of the 50 year old Foggy Bottom garden…and still growing. Adrian Bloom is presenting in a talk some of his own experiences in creating Foggy Bottom, his own 50 year old 6 acre garden, now renowned for year round colour, and featured in books and on many television programmes over the years. Since the garden began in 1967, Adrian has been ‘on trend’ with innovative plantings of conifers and heathers, ornamental grasses and perennials, plant combinations and rivers, as well as the always in vogue ...container grown plants. The Smaller garden: since 1975, Adrian has always championed the average gardener with a smaller garden, and his talk will include some that he has designed in the UK, the USA and Canada - and “Given Away”. Many of these are shown in his books and on TV. ...and how you put them together. 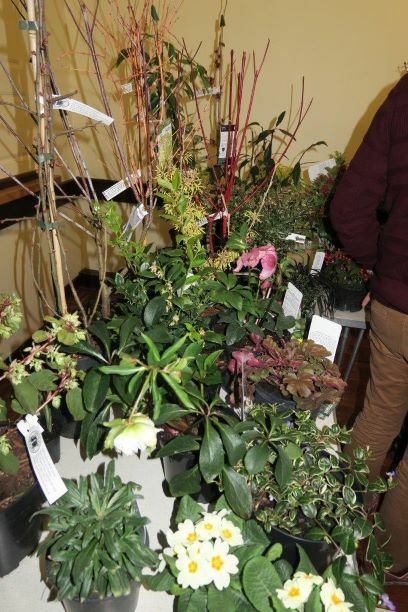 Adrian’s talk will also highlight some of the most reliable plants and will give recommendations, as well as plants for containers. A grandiose subject of course, the future is ongoing ...How can we inspire? So why are there fewer gardeners by far than there used to be? Perhaps many reasons- space (or lack of), time, no childhood connection, too many distractions and competition for the consumer’s attention. Changes in communication - TV, Smart Phones, Social Media etc. HAVE YOUR SAY – Comments from the audience. Overall theme... Gardening for everyone ...a beginning ...creating a platform and structure for moving forward. Aim: eventual database of Horticultural Organisations and Garden Clubs, and resources for learning and sharing. NNHS has a full programme of events for 2019, details of which are on their website and Facebook page. These include evening visits, coach trips and a garden holiday. The highlight of the year will be the President’s Evening at The Bressingham Gardens on Wednesday 17 July during which we will celebrate our achievements over the last 190 years and look forward to continuing our mission of “Gardening for All”. Indoor Meeting: Talk by John Cullen "Pollinators in your garden"